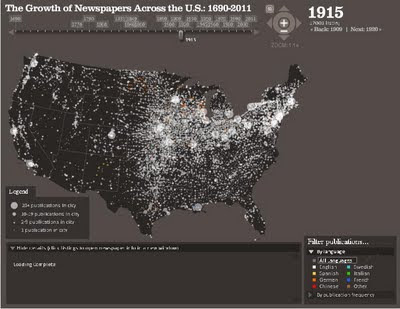 A new visualization from Stanford University charts the expansion of printing presses as early settlers headed west, as well as the peak and decline of the American newspaper. It’s also highly interactive, letting users scroll back and forth through the American history of newspapers, pausing for textual markers at historically significant times. Users also get a breakdown of the publications serving a particular town, and can filter papers by the language they were published in or by publication frequency. 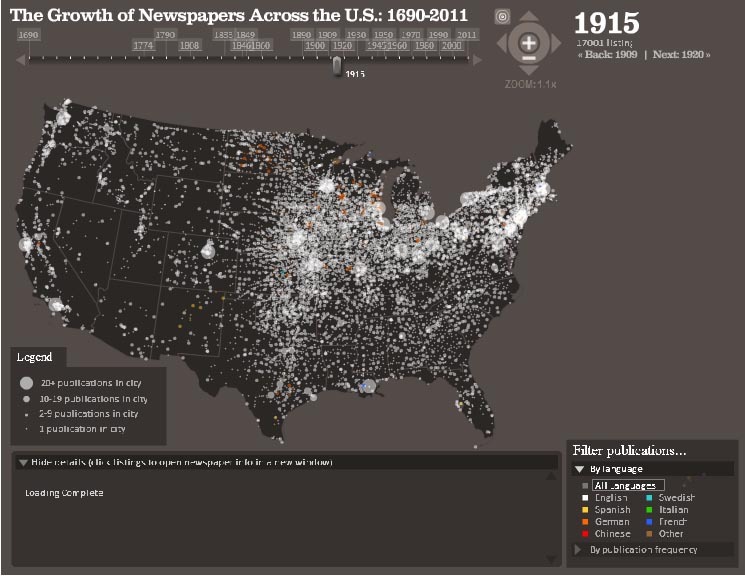 This was a major undertaking from the Rural West Initiative of Stanford University, which involved tapping into a directory of some 140,000 American newspapers at the Library of Congress. The visualization accompanies a report by the Initiative which indicates that while metro journalism has been on the decline for decades, rural journalism is still alive and thriving, although the job makes for “a lean living” for rural journalists and most papers are “an advertiser or two away from red ink.” Many reporters and some editors are fresh out of J-school. Geoff McGhee, the Bill Lane Center creative director, and Judy Muller, a contributing editor at the Rural West Initiative, will both be on the Salt Lake City NPR station KUER to discuss the report August 8, at 10 a.m. pacific time (12 p.m. central, 1 p.m. eastern). It will also be simulcast on the SiriusXM Public radio channel. Listeners can call the station at (801) 585-WEST or submit questions at radiowest@kuer.org. 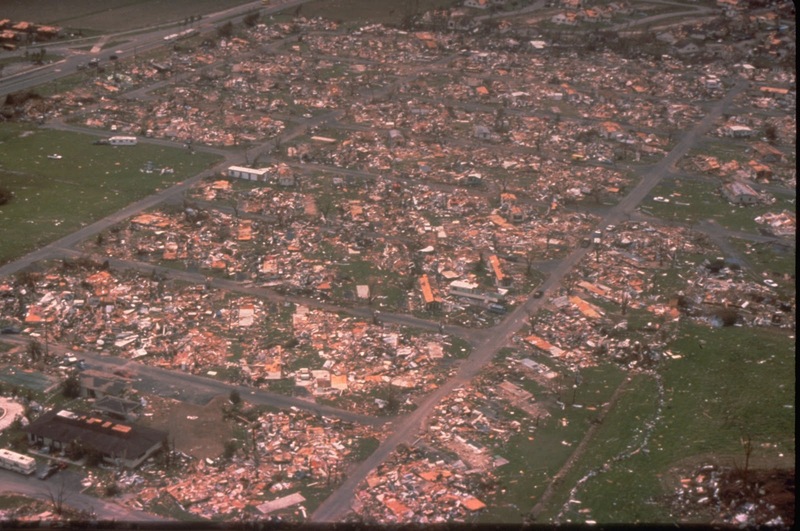 The station website has a live stream and will archive the show as a podcast. The Nieman Journalism Lab at Harvard University lab tweeted of the interactive map, “How cool (or sad?) is this?” That’s because the dots peak at about 1920, and decline to the number we see today. Most news begins life in a newspaper news room, according to a 2009 Pew study on the Baltimore news ecosystem. The Initiative’s report seems to support Pew’s conclusions.